This particular documentary, “AYA: Awakenings is a narrative documentary into the world and visions of ayahuasca shamanism, adapted from the cult book ‘Aya Awakening: a Shamanic Odyssey’ by Rak Razam.”2 Promoted in local publications, and through social media, small venue events of this type provide a truly intimate community experience that, as was the case in Santa Cruz las weekend, can still attract panelists from all over the globe. In this type of small venue a 16’x9′ screen rental can really set the night apart from your average community gathering. Portable, rugged, and easy to set up, a 16’x9′ screen rental makes the perfect backdrop for not only film premieres and screenings but panel discussions with supporting audio visual materials. 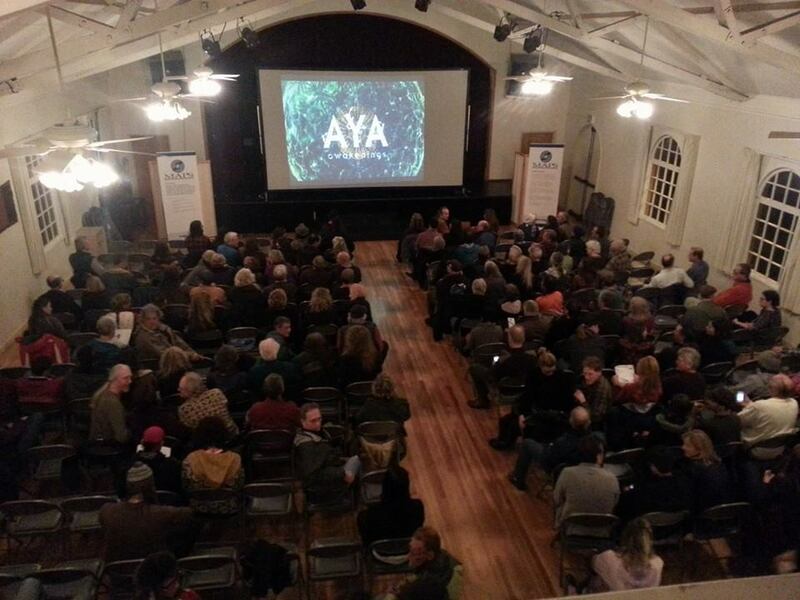 Click here for more pictures and information on Rak Razam’s Santa Cruz Aya: Awakenings Film Premiere.